Summer has already shown its first signs on the shores of our marvellous Lario. Why bother with the sea, when everything you need is RIGHT HERE? The 170 kilometres of coastline that embrace Lake Como are split between the provinces of Lecco on the eastern shore and Como on the western shore. As for other large northern lakes, even on Lario seaside tourism has for many years been a well-established reality. To meet the needs of the ever-growing number of tourists, dozens of baths and other establishments have appeared over the years that offer all the facilities and conveniences to make a relaxing day at the lake even more enjoyable. If you prefer unspoilt beaches, there are still many stretches of wild coast on the shores of Lake Como. 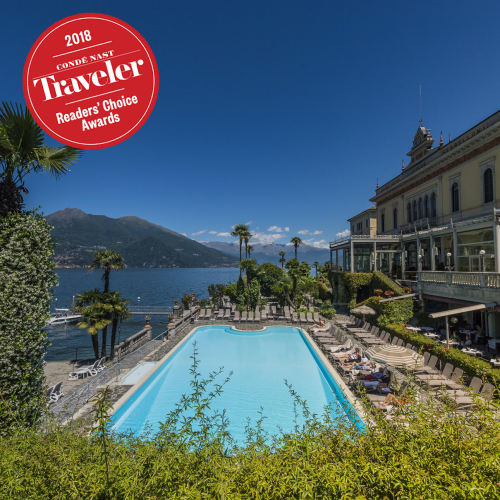 Even the Grand Hotel Villa Serbelloni in Bellagio, one of the best hotels on the lake, offers its guests a splendid lake terrace with a pool and a lido. Sorico Beach: A wide, sandy beach at Sorico, in the high area of lake Como, near the Pian di Spagna Nature Reserve. It is ideal for water sports lovers and for those who just want to relax. Colico Beach: A beautiful, wide beach with abundant greenery. A dive into Lake Como, where the kite surfers near the Pian di Spagna reserve bring splashes of colour. Pradello Beach: The Pradello beach is that of Lecco: a green area with a children's playground and a rocky beach with rocks and steps. 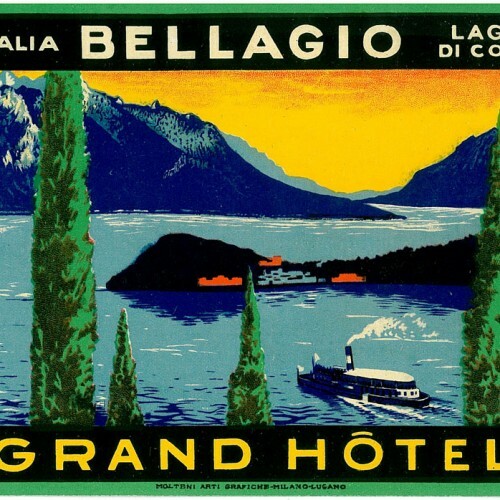 Ideal for a dive into the Lecco lake! BauBau Olivedo Beach: Located in Malpensata at Olivedo di Varenna, this is the only dog beach in Lake Como. Car parks and facilities are nearby. Cernobbio Beach: In Cernobbio swimming in the lake is not permitted, but there is a lakefront municipal swimming pool located at the end of the Cernobbio waterfront. The pool offers sun loungers, parasols and a bar / restaurant service. It is located next to the boat stop. Parking and entry is subject to a fee. Tremezzo Beach: The Mayer Park is located at the entrance to the village of Tremezzo; wide and full of history, it shelters bathers among its ancient trees, and there is a bar, a rocky beach and a beach volleyball court. During the summer, it also hosts several events organised by the local grass-roots organisation. Entry is free. Parking is available nearby. In the ward of Bolvedro, there is a beautiful pebble beach with free access. Lido di Moltrasio: The lido is located on Via Antica Regina in the village of Moltrasio, access is subject to a fee and the facilities include beach umbrellas, deck chairs and a bar / pizzeria. The land is made of reclaimed sand. Parking is available for a fee, but those who wish to do so can get there by boat, with the boat stop being a few metres away. Pets are not allowed. Beaches in Como: The lido is in the beautiful park of Villa Olmo, right on the lake front. It offers several amenities including a natural beach area and two swimming pools, with one for children. Green spaces, sun loungers and umbrellas. Bar service and indoor restaurant. These must, of course, be paid for. Plenty of car parking is available nearby. Villa Geno is a small stretch of beach located on the east side of Como Bay. From here you can admire the entire bay of Como, and the west side dotted with beautiful neoclassical villas. The lido has a large lawn where you can sunbathe, along with a children's pool. It offers a bike rental service, a bar and a restaurant. In the evening, it becomes a restaurant and pizzeria. This brief guide will help you discover some of the most beautiful resorts of the Lario, where you can spend pleasant days on the shores of the lake, diving into crystal clear waters to enjoy a fun and relaxing time. Lake Como boasts many fully-equipped lidos and free-entry beaches, meaning.... tanning is guaranteed.